After four years, the C4 Cactus is being restyled from an SUV shape to a stylish hatchback - and thankfully minus the large airbumps on the doors. Now the concentration is on comfort, always a high point on the Citroen agenda, and three areas get particular attention, the suspension, seats and sound damping in the cabin. A new type of suspension, Progressive Hydraulic Cushions, adds a pair of hydraulic dampers into each suspension corner to soften road ruts and bumps and gives a floating feeling. Seats are now bigger and softer with good support, and cinema seat comfort was how one occupant described the experience. The cosy experience for driver and passengers is also extended to decibel levels. Special insulation has been used to lower engine, wind and tyre noise in the cabin, and engineers claim conversations and music can be enjoyed at a more relaxed level. The interior space is similar to the outgoing offering as the hatchback sits on the same platform - four adults in comfort, or three children in the rear. The boot area is average for a motor of this size, with 368 litres of space extended to 1,170 litres with the rear seats folded. Outside, the Cactus gets new large horizontal tail lights and the airbumps are now small and consigned to the bottom of the doors - but the real benefits of these are hard to understand, maybe a few less scratches. The new model goes on sale this Thursday with three trim levels, Touch, Feel and Flair, with a starting price of €19,995 for the entry-level version which has the highly economical PureTech 110bhp engine. It gets the new suspension and Hill Hold and with the Blue HDi 110bhp diesel the price is €22,195. The Feel version, with Apple and Android connection and comfort seats, ranges in price from €22,495 to €24,995 for an automatic transmission version. The Flair version, with sat nav and keyless entry, has a price range of €24,495 to €26,995. 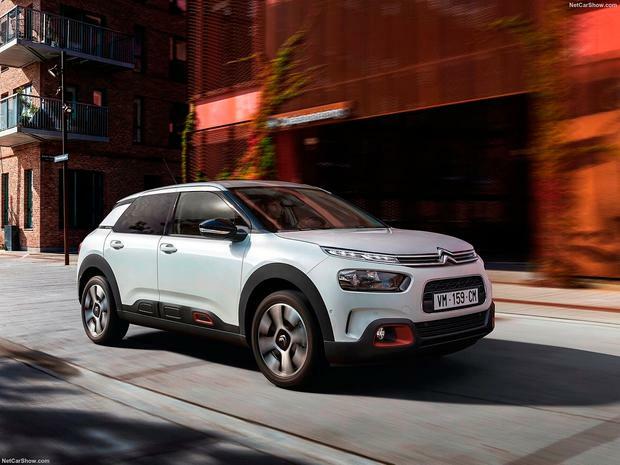 Citroen's marketing director Louise Murphy says sales will be in the region of 120 by the end of July, and 300 by year end with a forecast of 800 units next year. With new MD Pat Ryan at the helm, the company is planning to recruit new dealers to add to the current 20-strong network.